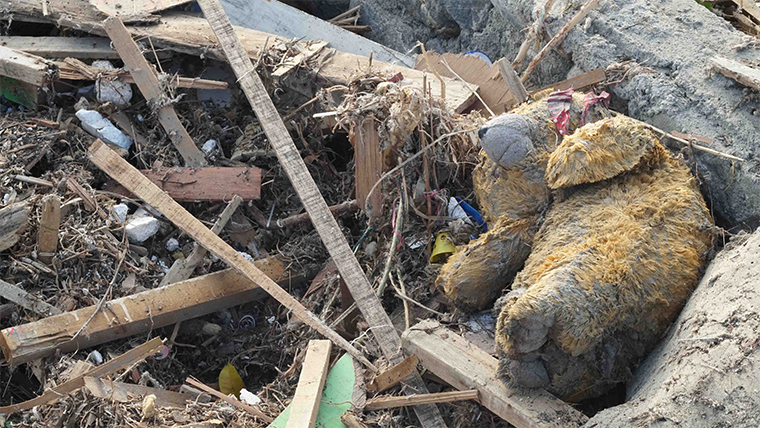 Ten-year-old Olivia lost everything she owned during the Indonesia earthquake and tsunami. “My dad told me the earthquake has swallowed up our home," she told World Vision’s Wahana Visi Indonesia. Olivia’s school books, clothes and, most importantly, her favourite toy - a Barbie doll - all disappeared when the 7.4-magnitude quake hit. Before the earthquake struck, Olivia was with her friends and family at a football match in her village. She was happy. But everything changed in an instant. Olivia felt the ground move. People screamed. Babies were crying. Olivia froze. Then she felt someone grab her hand, forcing her to run. It was her father. “I didn’t know what was happening until I arrived at the top of the hill. It was dark … Many people joined us," the 10 year old said. It wasn’t until the following morning Olivia saw the scene of devastation left by the earthquake, as the dawn light revealed that everything had been wiped out. Olivia is currently living at an evacuation centre with her father and stepmother in a temporary structure. Wahana Visi Indonesia helps children like Olivia cope by creating Child-Friendly Spaces, where children can express themselves through art, dance and play while connecting with other children who have faced distressing experiences. “I am happy today. I can sing and play together with my friends here,” Olivia said excitedly. Although Olivia has lost all her possessions, she can still find the strength to smile. If you'd like to help children like Olivia, you can donate here.